Tourism has been growing at a considerable rate in India, and the exchange rate doesn’t hurt either. The cost factor aside, what makes India so incredibly unique is its blend of daunting, eye-opening, stimulating, shocking, moving and beautiful sights. It is easy to get overwhelmed, but it is equally easy to fall in love with the country. In fact, most visitors are lucky enough to experience both feelings within a matter of days, and this is what makes any trip to India so different. For those visiting India for the first time, the best way to start the adventure is by embarking on the Golden Triangle Tour. 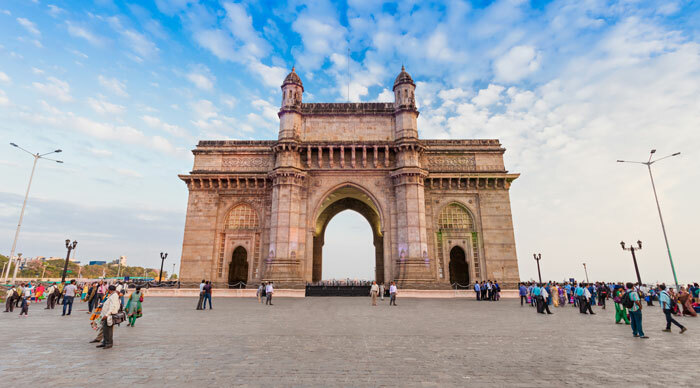 There’s nothing off-the-beaten path about visiting three of the most popular destinations in the country, but you can always expect it to be the perfect introduction into the history, culture and lifestyles of both ancient and modern India. 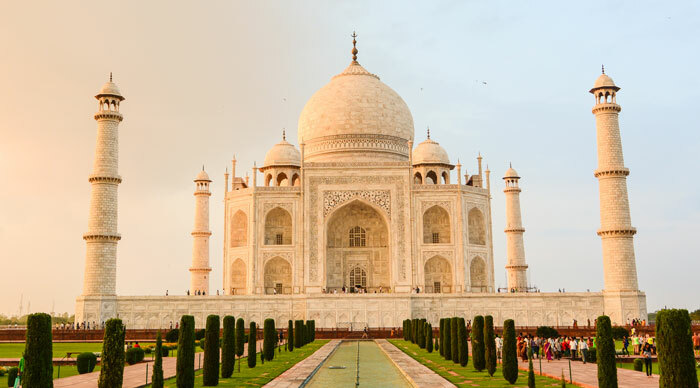 The Golden Triangle Tour takes you through three places – Delhi, the Indian capital, Agra, home to the iconic Taj Mahal, and Jaipur, the land of forts and palaces. From the splendor of Rajasthan to the buzzing bazaars of Delhi, this tour is full of unmissable and unforgettable highlights. Capital of the great Mughal empire and the British, home to more than 25 million people, city of djinns, Delhi is to the Indian subcontinent what Rome is to Europe. Full of relics dating back centuries, Delhi is perhaps the best place to discover ancient, medieval and modern India in the same breath. Glitzy malls, magnificent nightclubs, trendy breweries and exotic restaurants show how the new generation loves to spend its time, while medieval fortifications, dusty bazaars and colonial wonders and Mughal mausoleums introduce you to the Delhi of yesterday, a city without equal. 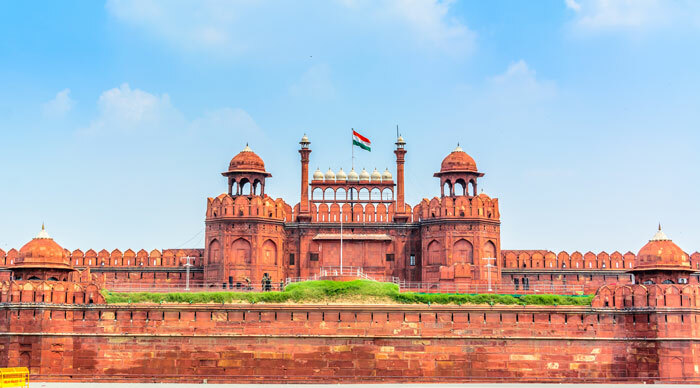 The main highlights of your stay in Delhi shall include architectural wonders such as India Gate, Qutub Minar and President House, Mughal mausoleums such as Humayun Tomb, the ancient bazaars of Old Delhi and Lotus Temple, a magnificent temple that has been styled after the lotus and features 27 breathtaking white-marble petals. 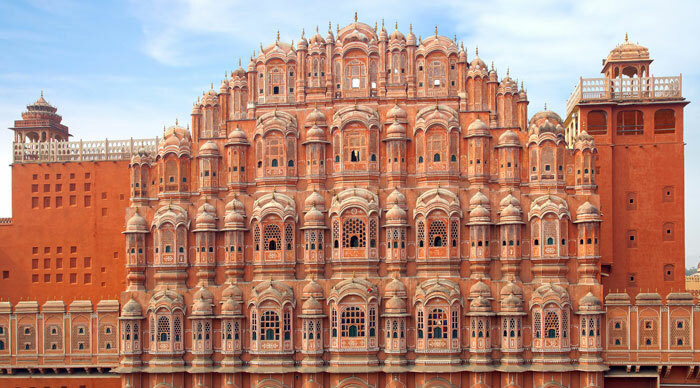 The next step of your journey takes you to the Pink City, Jaipur, the capital of Rajasthan. And who hasn’t heard of Rajasthan! Home to some of the most beautiful and alluring forts and palaces on the planet, Rajasthan is one of those must-dos, something you must experience at least once in your lifetime. The chaotic street scenes perfectly mix the old and the new, and leisurely cycle-rickshaw rides let you explore those various neighborhoods in an entirely new light. It often leaves you overwhelmed and frustrated, but in the midst of all this chaos, wonders from a bygone era come into view to evoke a sense of calm and transport you to a different world. While in Jaipur, you will be able to check out architectural gems such as the Amer Fort, City Palace, Hawa Mahal and Jantar Mantar and also enjoy adventures such as elephant rides and shopping. Centuries ago, Agra was considered to be one of the most powerful cities in India. It was around that time when many of the wonders you see today were created. Although home to a number of architectural gems such as the semi-circular Agra fort and the red sandstone Fatehpur Sikri, the first thing which comes to mind when you think of Agra is the magical Taj Mahal, a part of the Big 7, an attraction that seems to have different colors at different parts of the day. Considered to be a legacy of the Mughal Empire and an embodiment of true love, the Taj is where you see countless love stories come alive. Here at Bookmundi, we believe in offering the best and grandest of tours, adventures that transform the way you look at travel. Our tours feel like they have been perfectly customized to suit your style, and irrespective of your preferences, you’re sure to find something perfect with us. Those searching for Golden Triangle adventures can choose from two different tours – the 4 Day Golden Triangle Tour and the slightly more detailed 5 Day Golden Triangle Tour from Delhi. Both offer a similar experience but feel vastly different to suit different tastes.